Our Easter brunch family guests had just left and I was setting up the laptop computer when a magnitude 7.2 earthquake struck 100 miles away causing our house to rock and roll and prompting me to call our newly acquired Corgi, Tasha, to join me out on the patio, followed by Larry and Corgi, Mac. We watched as our fish pond noisily sloshed back and forth. Two wine bottles and a clock had fallen over but were not damaged. 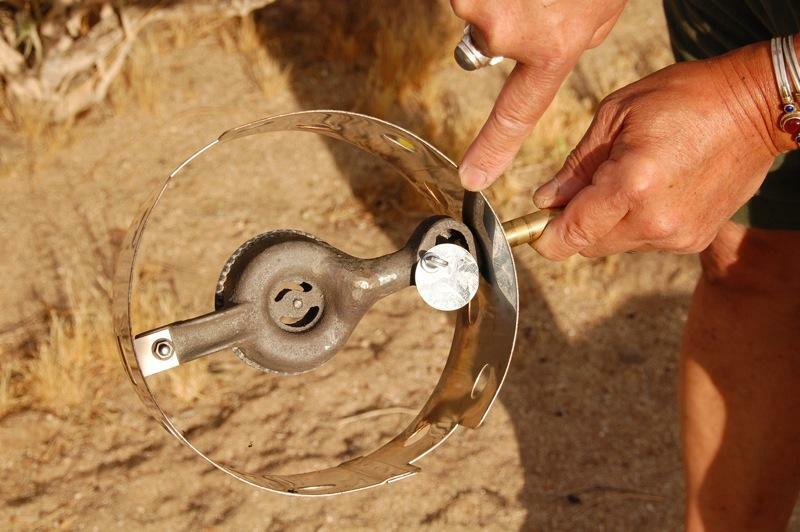 Thousands of aftershocks continue to be reported (including a 4.7 earthquake this morning), and it is estimated that earthquake-related damage in nearby Imperial County will eventually be in the hundreds of millions of dollars. One week later we returned to Anza-Borrego Desert for five nights of camping in a region that lies across one of the most active seismic systems in North America, according to Geology of Anza-Borrego: Edge of Creation, by Paul Remeika and Lowell Lindsay, 1992, Sunbelt Publications. 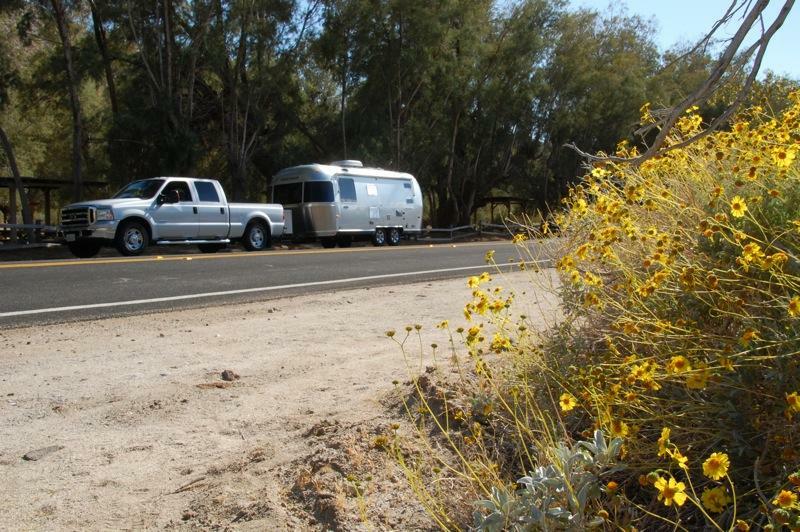 After passing over Earthquake Valley fault at Scissors Crossing, we stopped just outside Tamarisk Grove Campground (the second largest campground in Anza-Borrego Desert State Park and now only open on weekends due to California’s budget crisis) for a look at the profuse yellow flowers of the Brittlebush. 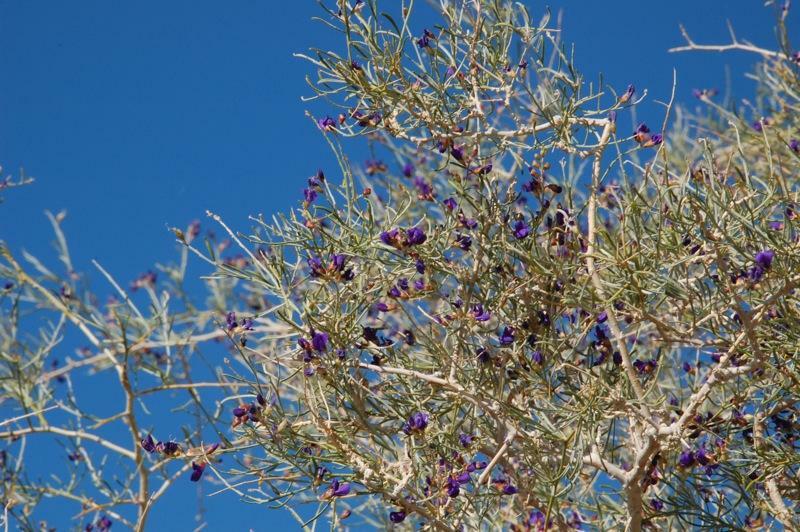 According to Diana Lindsay in her book Anza-Borrego A to Z: People, Places, and Things, 2001, Sunbelt Publications, Tamarisk Grove is named for a stand of Athel tamarisk trees (Tamarix aphylla) planted as a shade tree and windbreak. The campground was originally a San Diego County prison camp, established in 1929 to relieve crowding in the county jail. Nearby are the Cactus Loop and Yaqui Well trails. 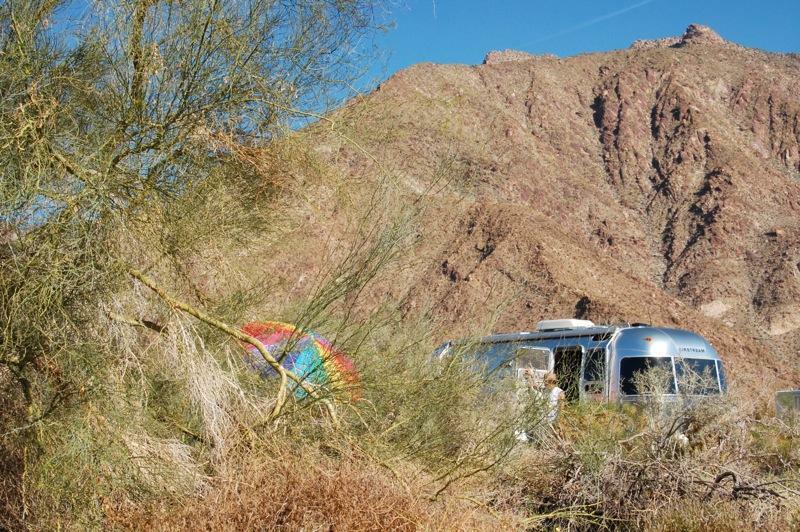 After a brief stop to take photos, we continued on to our Borrego Palm Canyon campsite. Later in the week, our friends (and veterinarian) Bob and Theresa arrived with their 30′ Airstream Classic with slide-out. Several times Bob spotted Bighorn Sheep and lambs on the ridge overlooking the campground through his telescope. A volunteer in the Visitors’ Center reported that the peak in the wildflower season here was two weeks ago, but we were pleased to see many plants still blooming, such as the Indigo Bush (Psorothamnus fremontii), named after John Charles Frémont (January 21, 1813 – July 13, 1890), the first presidential candidate of a major party to run on a platform opposing slavery in 1856. 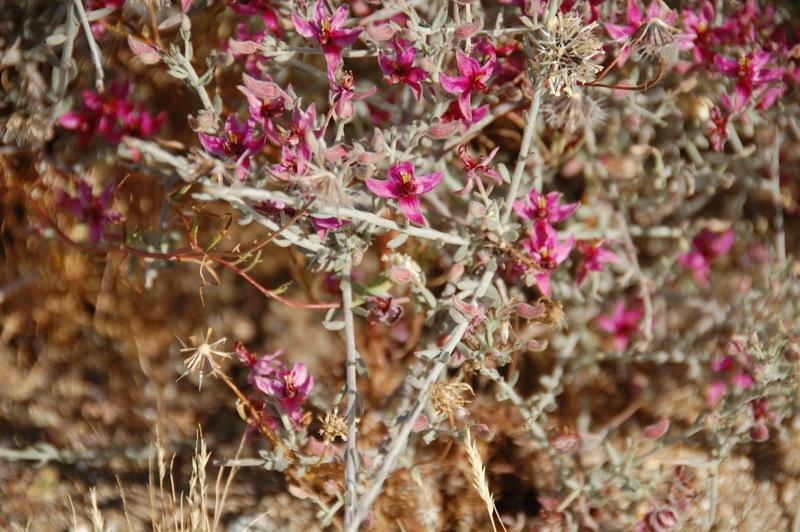 While walking our Corgis along the campground road, we spotted Purple heather (Krameria erecta), seen below. 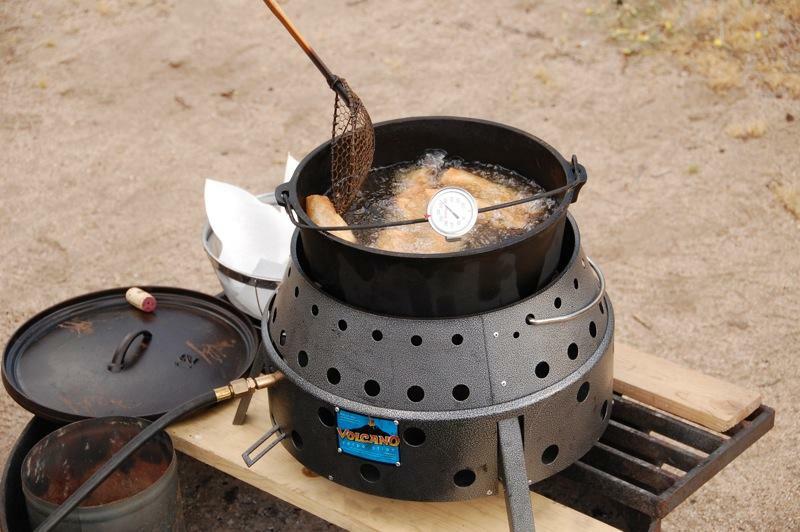 While the Iceland volcano, Eyjafjallajökull, was spewing out ash and disrupting flights across Europe, our Volcano II Collapsible Stove was deep-frying Chinese spring rolls. This stove was purchased at a promotional demonstration at Costco earlier this year and this is the first time we brought it along while camping. 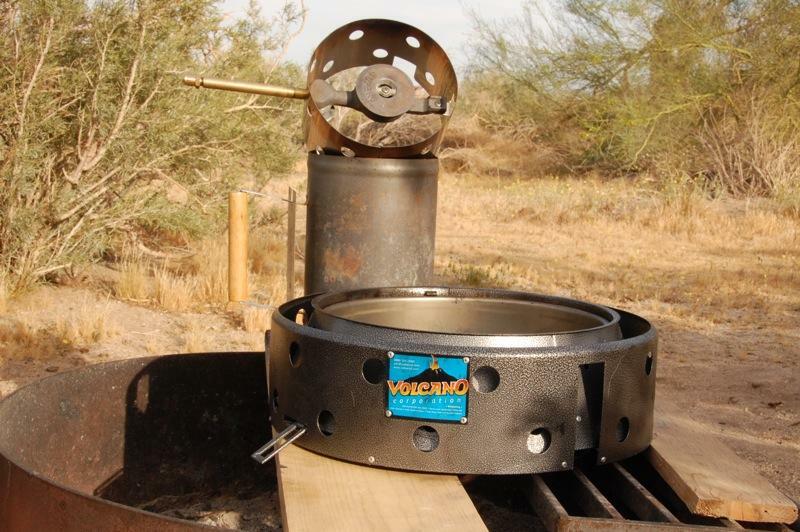 This portable, efficient and versatile stove can use propane gas, charcoal and wood. It collapses and travels in the case provided. Although it was not clear in the Owner’s Manual, we eventually found that the propane burner gas flames can be optimized by adjusting the air vent found on the underside of the propane burner (see below). 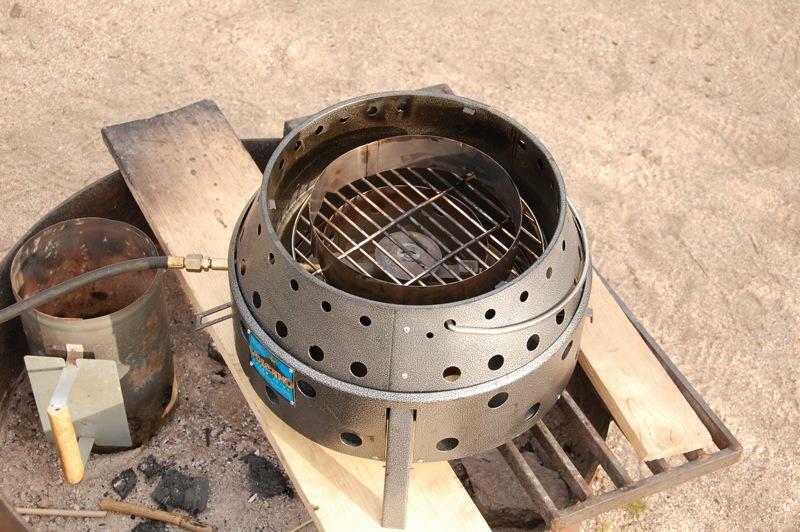 Our wok ring was added to support the Dutch oven. The spring rolls were stuffed with pork, shrimp and cabbage. Once the oil was at 350o, the spring rolls were deep-fried. 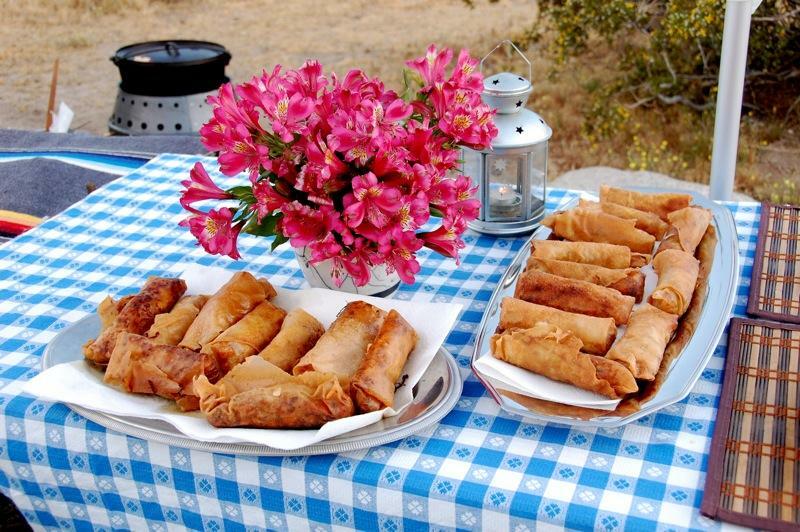 The stove worked wonderfully and produced delicious Chinese spring rolls seen on our campsite picnic table decorated with Peruvian Lily (Alstroemeria) flowers from home (a flowering Creosote bush, Larrea tridentata, is seen in the background). And listened to music and contemplated life through a dog’s eyes. 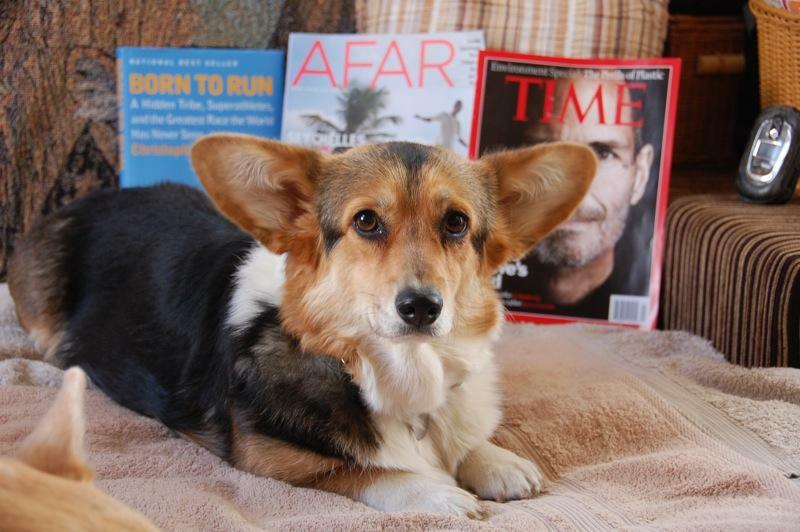 See the touching PBS film, Through a Dog’s Eyes. We are learning to take our time and smell the flowers while time is still on our side.